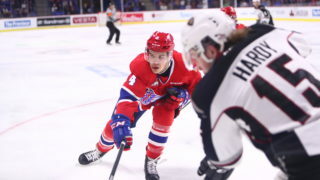 Spokane, Wash — The Victoria Royals spoiled Kailer Yamamoto’s homecoming Friday night as they took down the Spokane Chiefs, 1-0. Shots were few and far between on the night, with Victoria edging out Spokane 24-19 on the evening. Neither team managed to take advantage of any of their power play opportunities, Victoria going 0/4 and Spokane going 0/3. 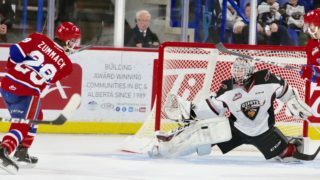 The Chiefs had several opportunities to pull ahead early in the 2nd period, during which they attempted 10 shots, none of which found their way past Victoria netminder Griffen Outhouse. 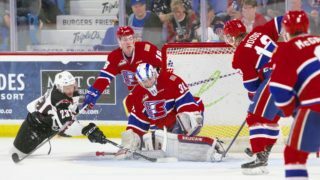 In the third period, Spokane goaltender Dawson Weatherill used his stick to poke the puck off of a Victoria stick on two separate occasions while adding several point blank saves as well. After nearly 59 minutes of scoreless hockey, Victoria’s Jared Freadrich took a pass from Regan Nagy near the blue line and found a spot just inside the far post to score the games first and one goal, giving the Royals the 1-0 lead they sustained for the final minute. 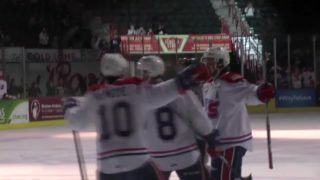 The Chiefs return to action Saturday night when they take on the Prince Albert Raiders at 7:05 p.m. Mike Boyle will have the call on 94.1 FM The Bear starting with the pre-game show at 6:30pm. 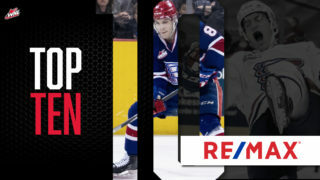 It will be Spokane Chiefs Beanie Night, with the first 3,000 fans through the gates of Spokane Veterans Memorial Arena receiving a Spokane Chiefs beanie! 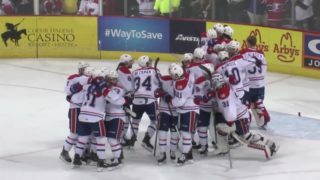 Tickets for Saturday night and all Chiefs home games are available in-person at the Chiefs’ Ticket Office, over the phone at 509-535-PUCK or online at spokanechiefs.com.